We abhor a cliché, but even so, we have to admit that there’s something magical about the holiday season that makes even the most jaded among us want to go on a romantic date. Maybe it’s the chill in the air or the twinkling lights or the way mulled cider warms us from the inside out. Probably it’s that often, dates lead to making out, although, fine, that’s dating any time of year. 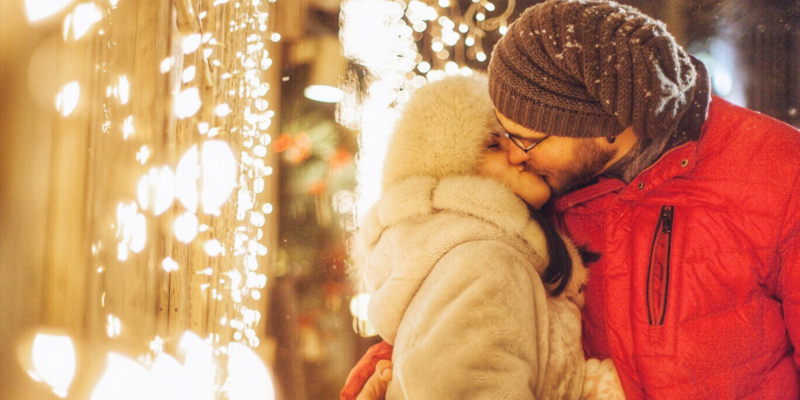 Whatever the reason, the holiday season makes us want to do fun things with the people we love and/or the people we want to find out if we have the potential to love (or at least spend the winter with). Here are a few ideas to make the most wonderful time of the year even better. Is there anything more quintessentially “holiday rom-com” than someone ice skating with their crush and then — oops! — taking a tumble (probably, if the couple is heterosexual, it’s the girl because we still have a long way to go when it comes to gender equality, but anyway! ), and then, when she’s almost steady on her feet, tripping again and falling right into the guy’s arms for their first lingering kiss beneath the twinkling lights of the Christmas tree? 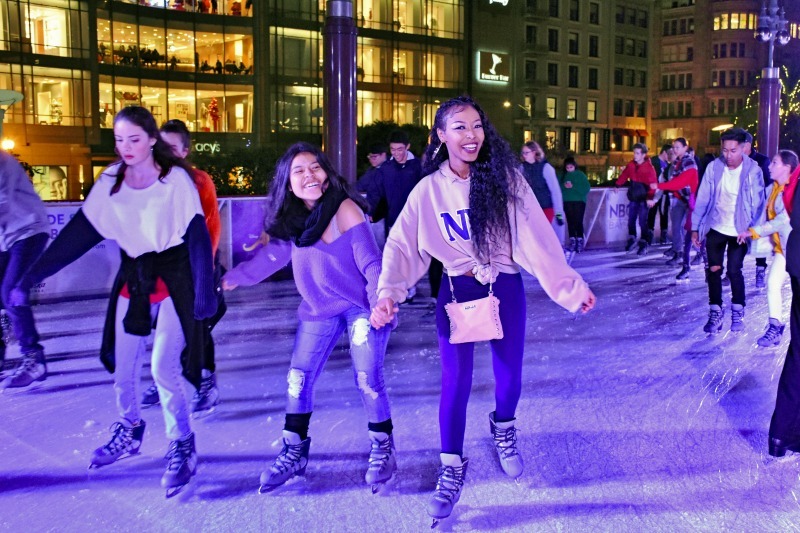 And that is exactly why you and your date should hit up one of San Francisco’s four outdoor ice skating rinks. For views of the Bay Bridge (and the biggest rink for maximum falling-into-each-other’s-arms space), there’s the Holiday Ice Rink at the Embarcadero. For those who prefer their romantic ice skating session to have a competitive element, there’s the brand new Winter Park at Civic Center, which has a 400-foot track. If you want your date to come with a side of science, then Holiday Ice Rink at the California Academy of Sciences is your only choice. But if you want the most cliché holiday skating experience, complete with Christmas songs and views of SF’s biggest Christmas tree, then you’ve gotta go Union Square Holiday Ice Rink all the way. There’s a reason all those bloggers post photos of themselves on Christmas tree farms: Standing in a forest of pine trees while wearing a cozy sweater and a winter hat is the most wintry wonderland thing ever. Yes, even if it’s 65 degrees outside. Plus, if you don’t bring a date when you’re picking out your tree, then who’s going to take your photo? Kidding. Mostly. Kind of. Well, not really, but there are reasons besides Instagram to pick out your tree with someone you’re into. You can learn a lot about someone by the way they shop for trees. Are they into a Douglas fir or do they lean toward a Noble fir so there’s more room for ornaments to hang? Do they want the tallest tree on the lot or are they practical about things like ceiling height and how the hell you’re going to get it home? Do they need to look at every tree available or will anything do? And, probably most important: Are they a Lucy or a Charlie Brown? Find out at Clancy’s in the Inner Sunset, The Guardsman Tree Lot in Fort Mason, and Delancey Street lots all over town. 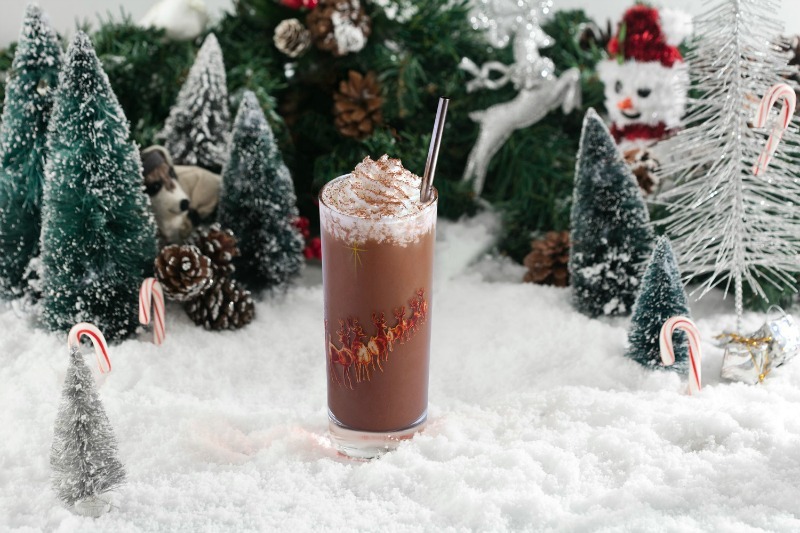 We’re huge fans of drinks at this classic hotel bar as a date idea any time of year, but during Christmas, it gets even better. Not only do you still have stunning 360-degree views of the city, you can also order from the “12 Cocktails of Christmas” menu, which includes drinks based on the gifts someone’s true love gave to them, even though you have to wonder how much they actually loved them considering not one, not two, but 12 drummers incessantly drumming and four calling birds, not to mention all of the pipers piping and lords a-leaping, sounds like something you’d give to someone you want to torture with sleepless nights (the five golden rings are a-okay, though). Speaking of gifts, the special Christmas cocktails are actually a few dollars cheaper than the regular cocktails and come with an adorable nutcracker cocktail charm that you get to keep as a memento of your date. Beach Blanket Babylon is always a perfect date as long as your date appreciates hilarious spoofs of pop culture and political characters and outrageous costumes (and if they don’t, then why are you out with them in the first place?). It’s a real gift during the holidays because there are special characters, including tap-dancing Christmas trees, parodies of traditional carols, and the legendary gigantic Yuletide Hat. 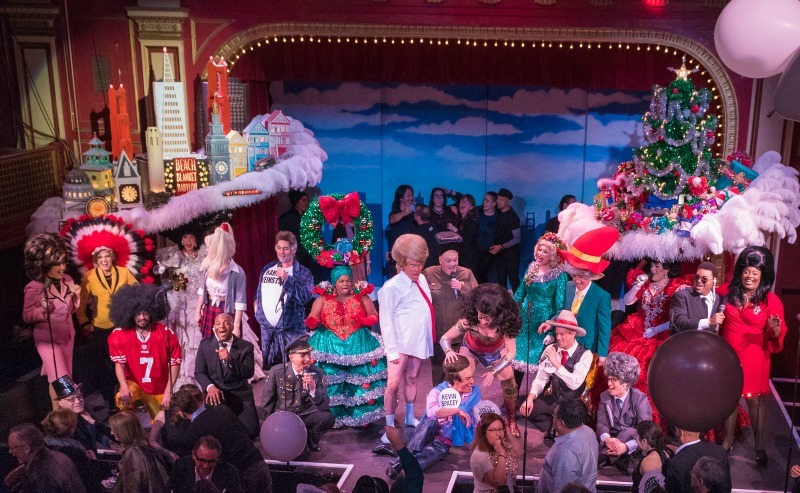 Plus, Beach Blanket Babylon was doing the whole “you can drink during our show” thing long before everyone else started doing it, which means you can drink beer and wine (as long as you don’t opt for the Sunday matinee). Every December, the San Francisco Zoo lights up for the holidays. ZooLights has, wait for it: bright holiday light displays, but also visits from Santa and his reindeer, strolling carolers, and a fire pit to warm your hands while enjoying hot cocoa (or beer) and other tasty seasonal treats. It’s also a rare opportunity to be inside the zoo when the sun has gone down (it’s from 5pm to 8pm). Spoiler alert: Yes, “all” Clara does to save the Prince is distract the Mouse King by throwing her slipper at him so that the Nutcracker has time to stab him, but we’re taking what we can get when it comes to heroines these days. And considering she started throwing that slipper in 1892, it’s a pretty impressive feat. Get it? Feat. 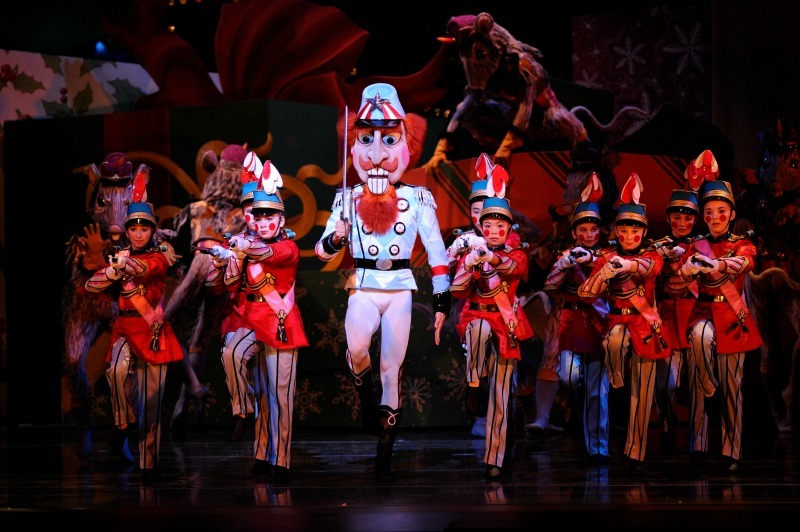 Terrible puns aside, it’s also pretty cool that the first U.S. performance of The Nutcracker was by the San Francisco ballet in 1944, and it’s truly an amazing holiday tradition. If those reasons don’t convince you to get tickets, then may we suggest A Christmas Carol instead? We have a hunch there’s a character there you might relate to. First name Ebenezer. Last name: Okay, you get it. The best dates are the ones that don’t take themselves too seriously, which is why we think the Fire Engine Holiday Lights Tour sounds pretty amazing. Frankly, it would be amazing even without the holiday lights because you get to cruise around the city in a vintage open-air Mack fire engine. But since it’s the holidays, you’ll also get to see all of the lights around Fisherman’s Wharf, the Embarcadero, Market Street, and Union Square, while your guide tells you fun facts. It will probably be cold because this is SF, so you have two options: snuggling very close with your date or donning a firefighter jacket. We’d pick the latter, obviously, but that’s also probably why we’re single. 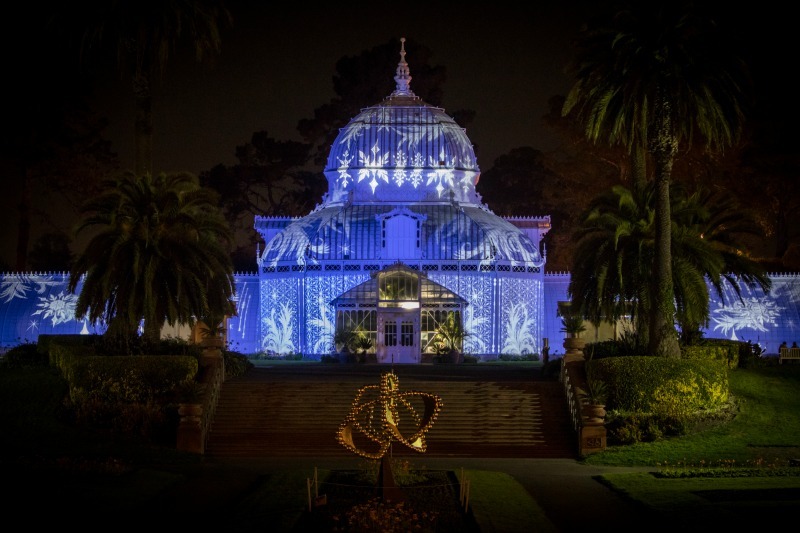 A new nighttime exhibition, Night Bloom, is debuting this December at the Conservatory of Flowers, so get your Instagram ready for a landscape transformed by light and sound as you embark on a journey through six site-specific installations, including palms that radiate with prismatic rays, glowing Amazonian ponds, and a lush jungle full of fireflies. Be sure to wear comfy shoes, as there will be a lot of walking, and feel free to go hungry because there will be food trucks and drink stations on-site. Every December since 2016, the Walt Disney Family Museum in the Presidio showcases Home for the Holidays at Carolwood, an installation with an intricate scale model of the Disney family home in Los Angeles. It’s decorated with seasonal lights and Walt’s steam locomotive chugging along its route, Christmas cards to and from notable Disney alumni, and holiday illustrations featuring beloved Disney characters. Vomiting on a date is not very festive, but going to a bar that looks like Christmas threw up all over it is festive AF. 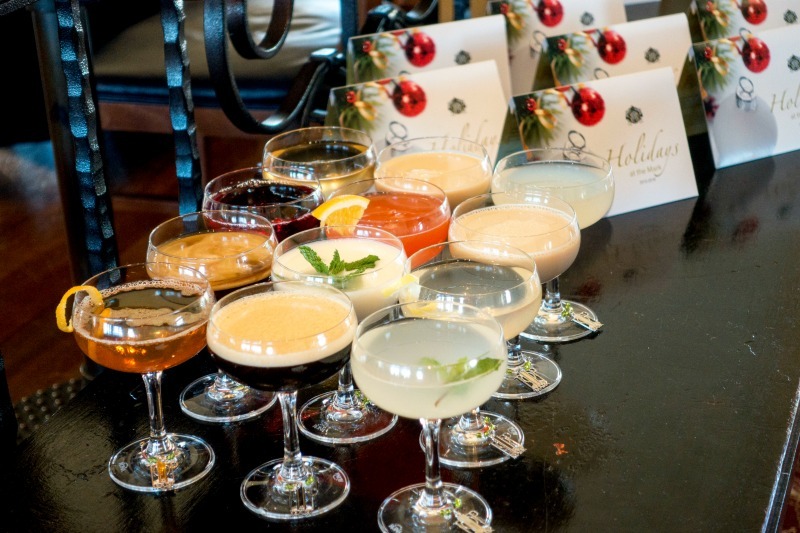 If you and your date are the kind of people who hang your stockings the day after Halloween, you have to get Christmas cocktails at Miracle at Pacific Cocktail Haven. Miracle is actually a pop-up chain, but we don’t hold that against it, since it’s the holidays and judging will not land us on any list we want to be a part of. Plus, we love kitsch and we love boozy beverages with a theme, and we’re betting you and your date will, too. Victorian London comes to the Cow Palace every weekend during the holidays in a way that is completely cheesy and festive and wonderful. At The Great Dickens Christmas Fair, you and your date can explore the lamp-lit winding lanes of “Victorian London” and go into music halls, theaters, charming shops, and many pubs. Buy some roasted chestnuts on the “street,” interact with over 800 lively characters, ride a carousel, pose for a portrait, get your tarot cards read, and raise a pint to not taking yourself too seriously. Want more? Follow us on Instagram and Facebook for ticket giveaways and more of the best happenings around SF. Daisy Barringer moved to San Francisco when she was six years old and though she considers herself a "local," knows better than to ever call herself "a native." She resides in Cole Valley, but spends a lot of time in Tahoe with her 150-pound Saint Bernard, Monkey.